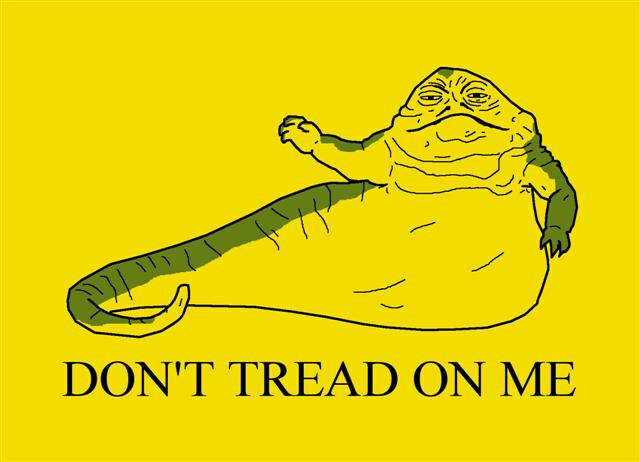 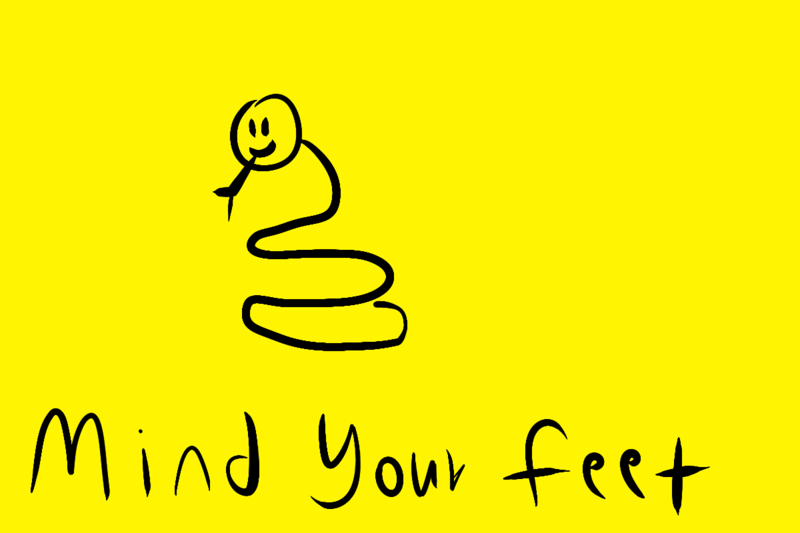 The Gadsden Flag has been endlessly reinterpreted, modified, parodied, and generally played with, as the following examples show. 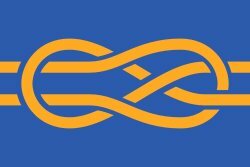 The design violates a number of basic principles of good flag design, but its ability to capture the imagination and spur creativity shows it to have become a very effective flag nevertheless. 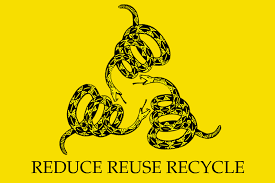 Because libertarianism is all about caring for the environment? 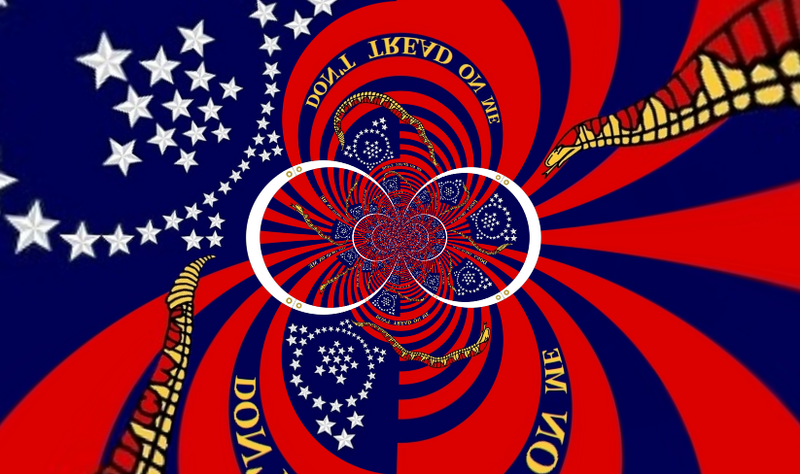 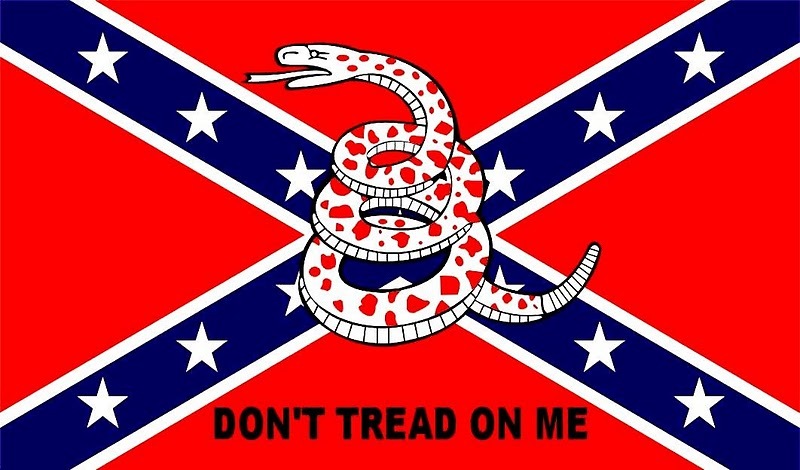 This psychedelic DTOM flag by Stephen Richard Barlow (on Deviant Art) owes more to the so-called First Navy Jack than the Gadsden flag, but is too strange not to exclude. 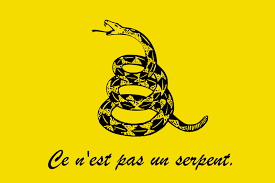 René Magritte knows a thing or two about the Treachery of Images. 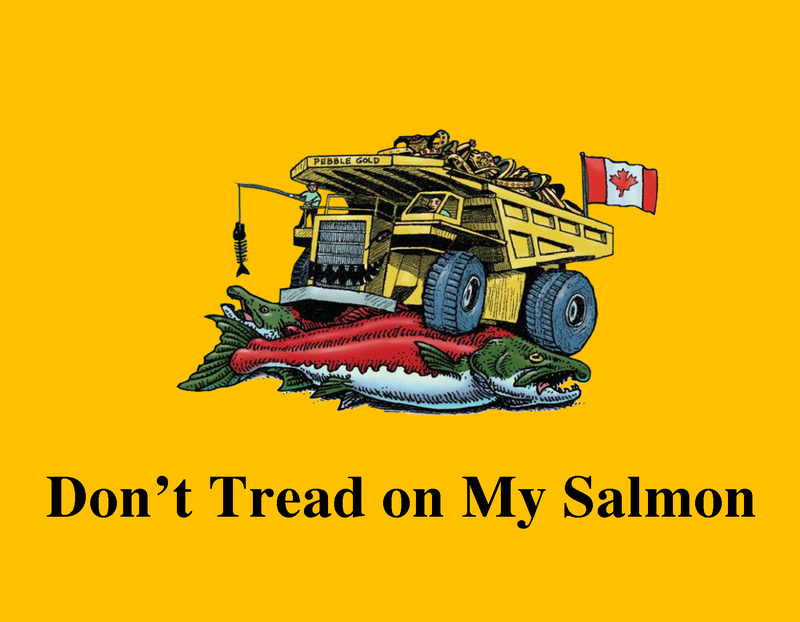 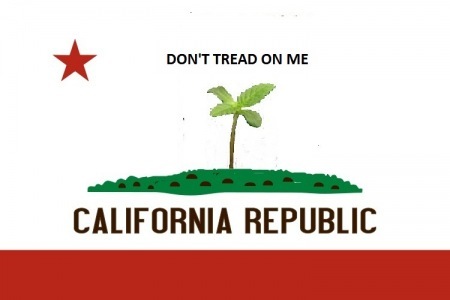 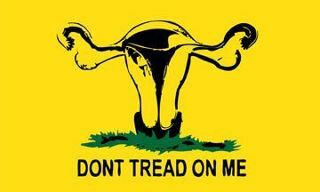 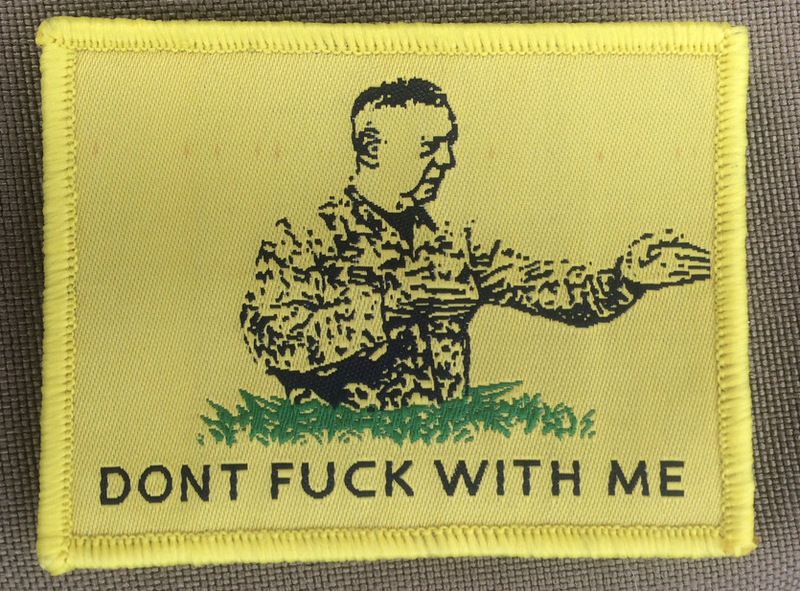 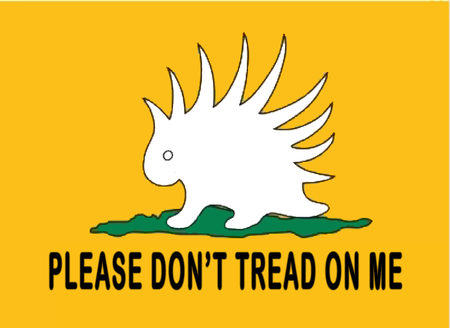 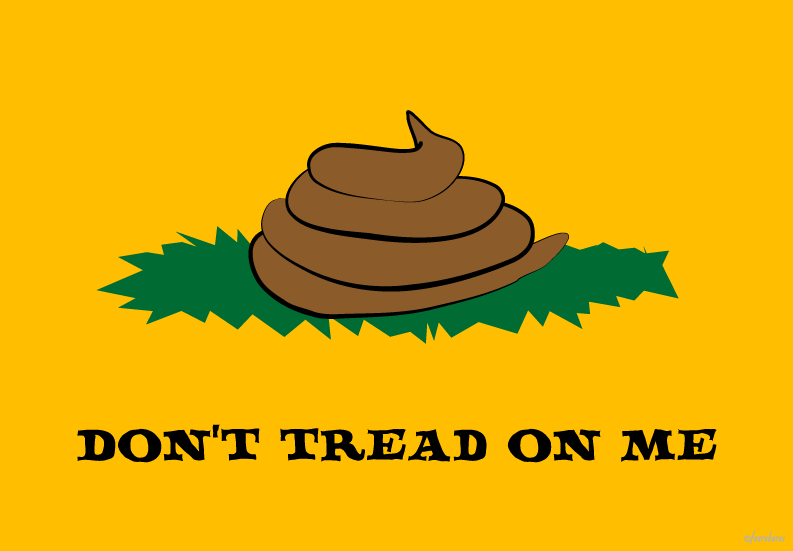 That might be the most entertaining flag meme extant. 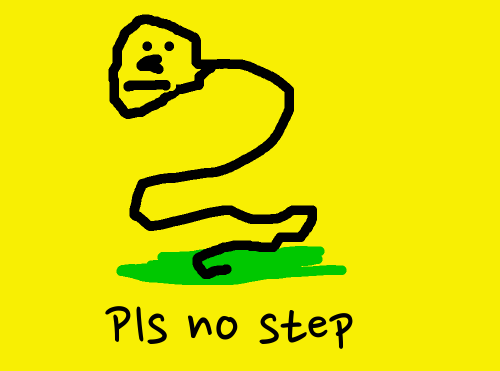 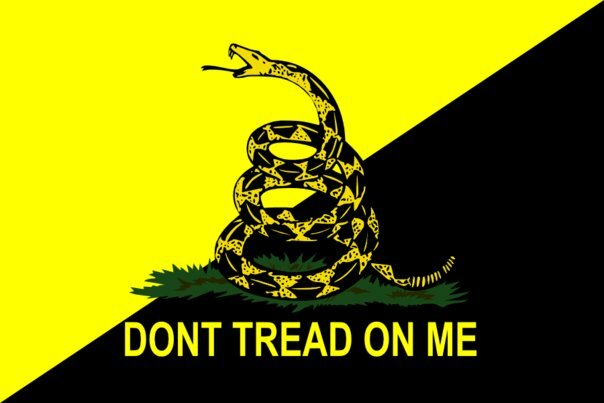 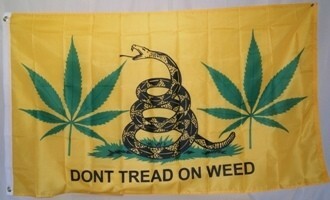 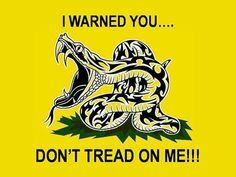 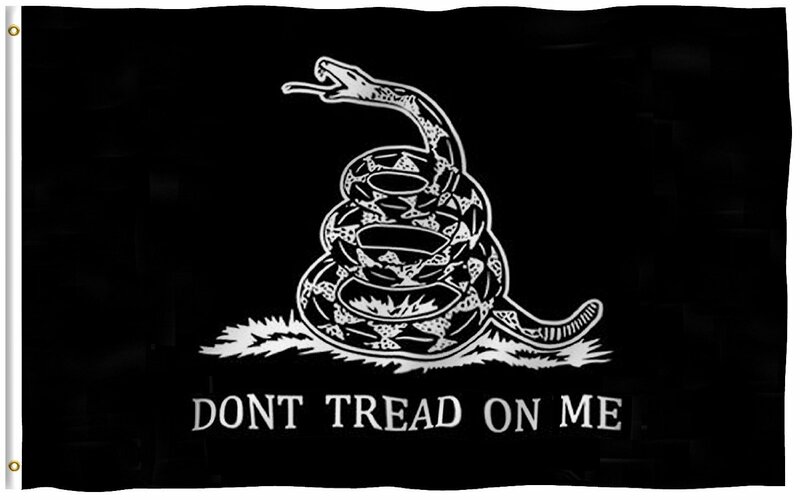 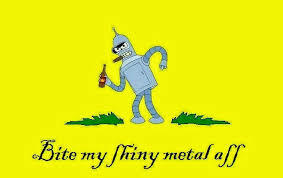 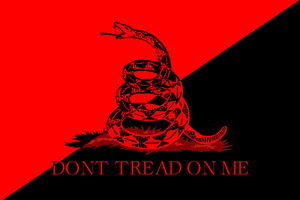 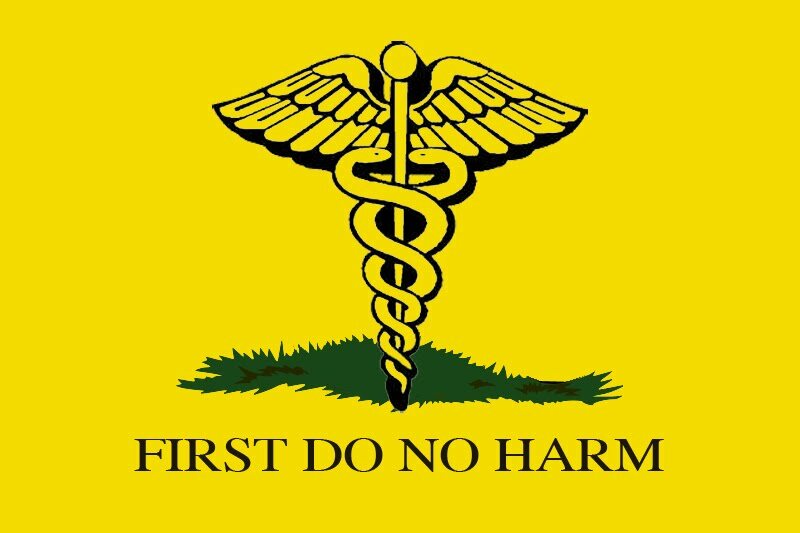 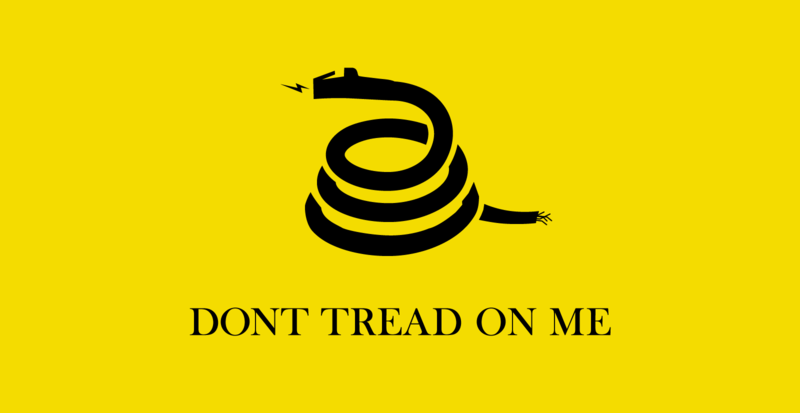 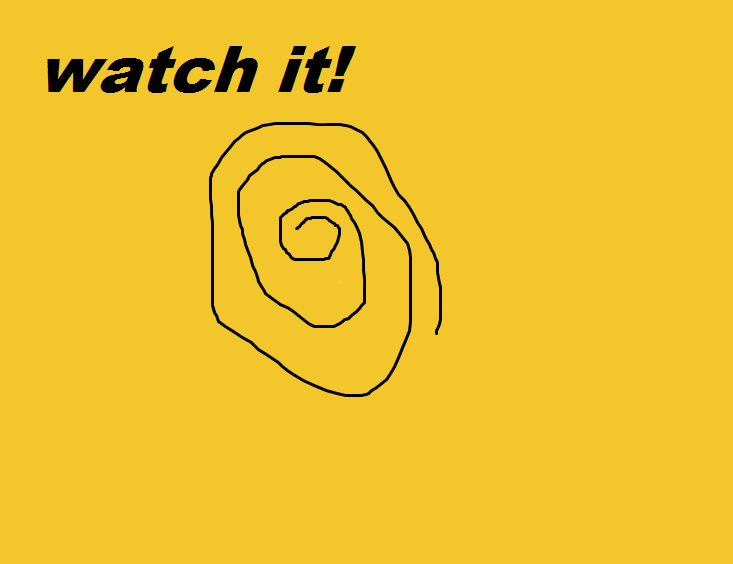 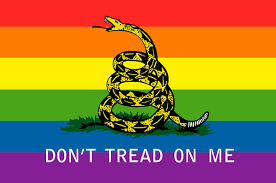 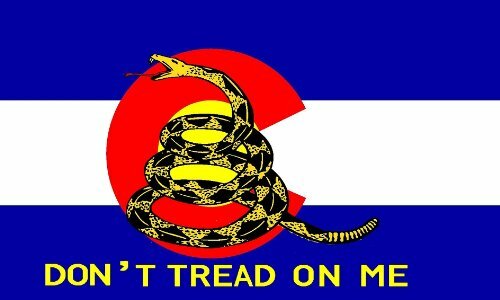 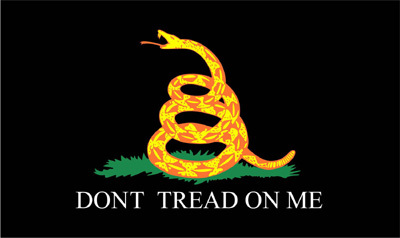 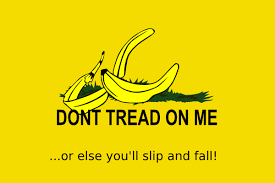 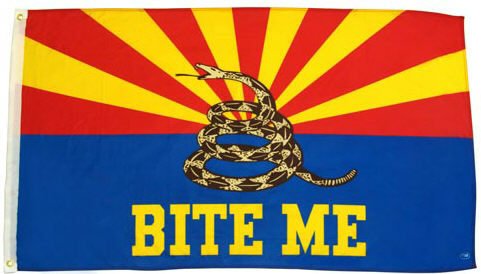 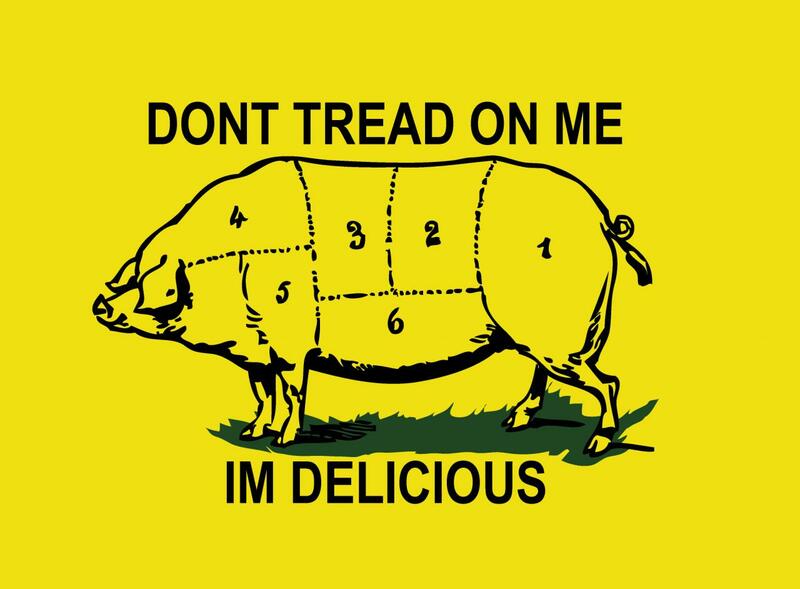 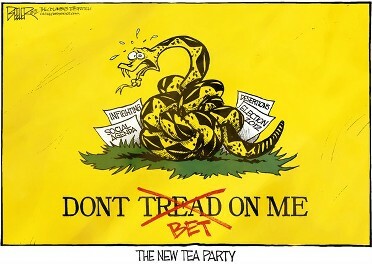 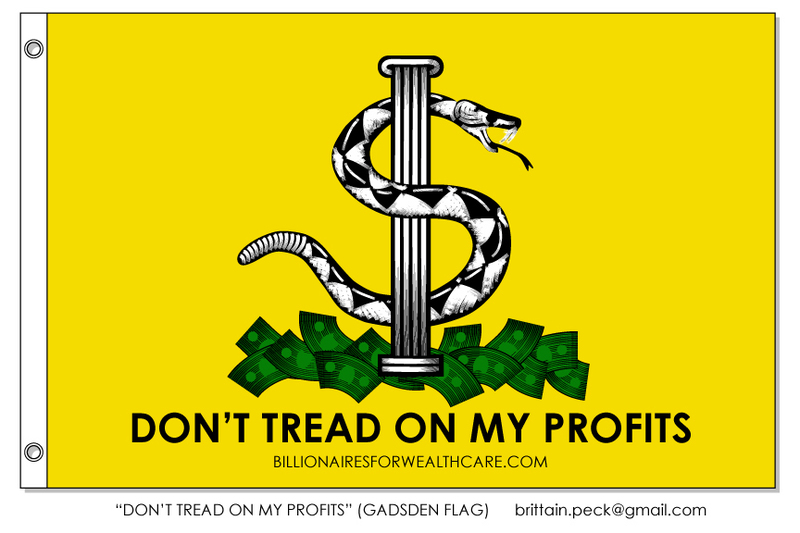 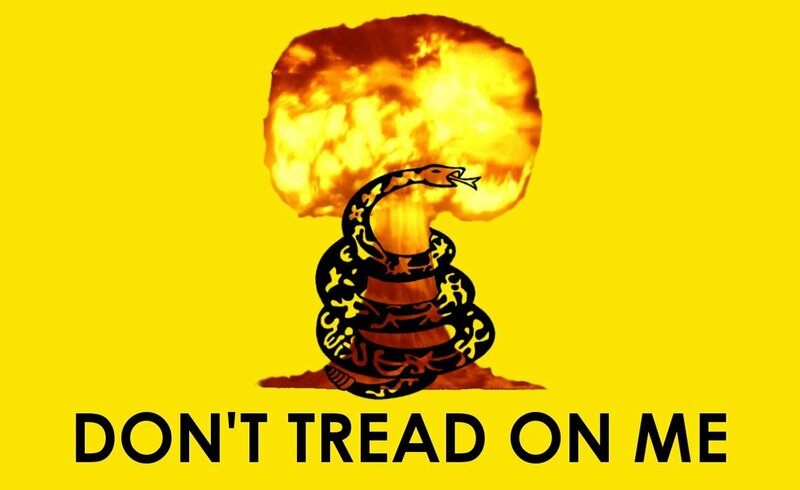 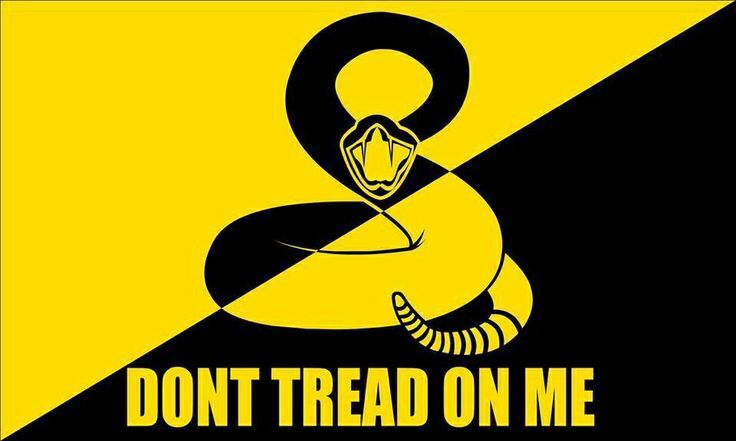 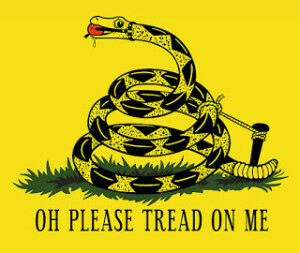 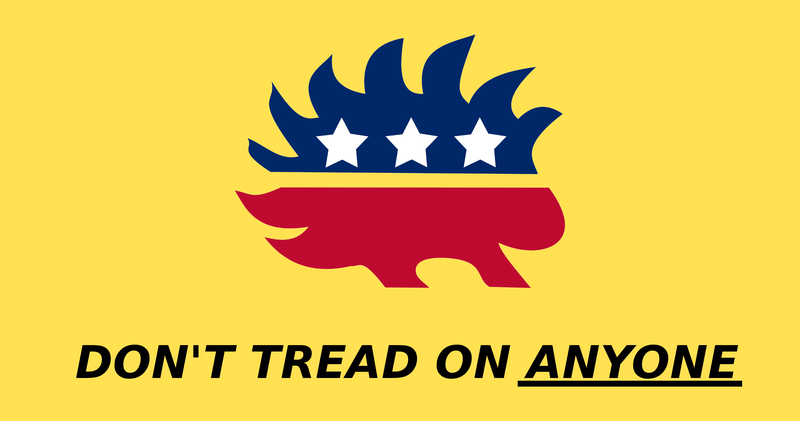 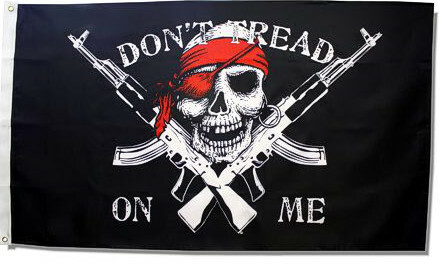 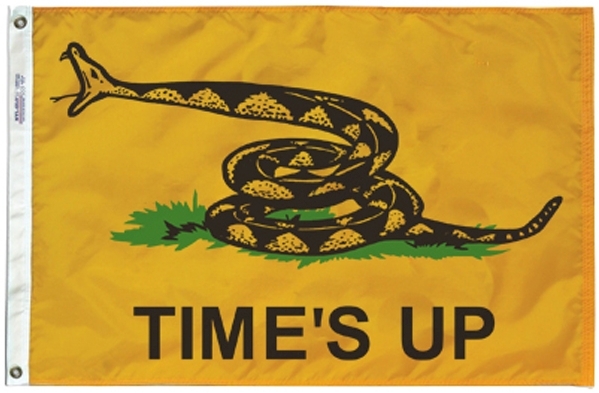 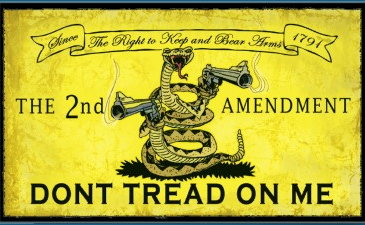 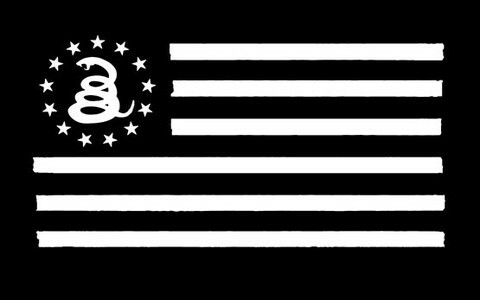 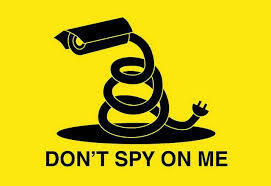 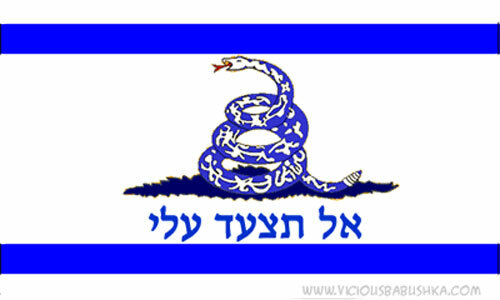 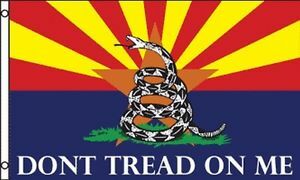 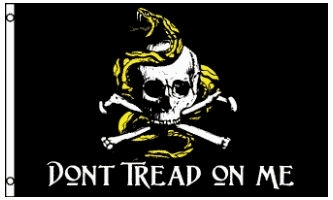 Previous Previous post: What Does a Gadsden Flag Look Like?